The Bristol BD-16 is an entry-level dreadnought that boasts premium sound quality at an affordable price. 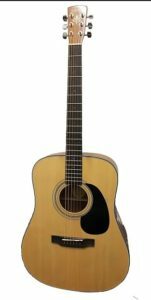 It is definitely one of the best acoustic guitars under $300. It could go down as one of the best low-end acoustic guitars in the market today. If there is one big gripe to say about this guitar, it would have to be the build quality. But does that make it less of an acoustic guitar? Find out. There is nothing special about the Bristol BD-16 acoustic guitar in terms of hardware, but it gets the job done. 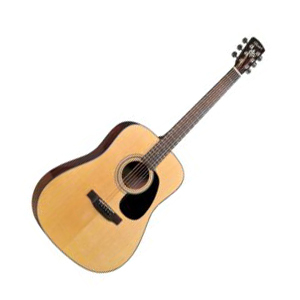 You get an industry average acoustic guitar in the entry-level category. The Bristol BD-16 does not have solid tops and sides. While it’s a deal-breaking flaw for most mid-range and high-end guitars, entry-level acoustic guitars have to be spared from this lack of solid wood. To be specific, the Bristol BD-16 has a laminated spruce top and mahogany back, sides, and neck. If you still do not know, laminated wood is not as good as a solid wood in terms of sound quality. The fretboard is made of standard rosewood. The basic rosewood bridge comes with a synthetic nut and saddle. The headstock at the end of the neck has a set of standard die-cast tuning machines. Even so, you have to be mindful about putting too much pressure on it and forceful bends. Otherwise, the guitar’s tuning may suffer a little bit. The Bristol BD-16 is not so bad, though. If you care enough about sound, which you should, the Bristol BD-16 compensates for the basic hardware. 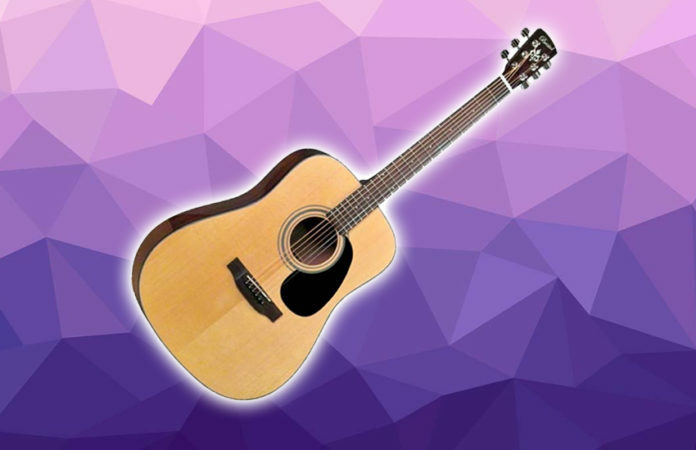 The combination of the hard and soft wood, however, contributed to the interesting tone of the guitar, helping the sound to deliver a vibrant tone and loud projection, thanks to its dreadnought body shape as well. As soon as you strum or pick the strings, you will immediately notice the clarity, definition as well as the wholesomeness of the sound. This is a testament how much maker Blueridge wanted to make the sound of the guitar like it is a high-end one. Hence, it has done something right for the Bristol BD-16 that it comes close to the ideal quality. The Verdict: Should You Buy Bristol BD-16? If you are still beginning to learn the ins and outs of playing the acoustic guitar and want an affordable option, then the Bristol BD-16 can’t be a bad choice. If you want an acoustic guitar that keeps up with your pace as you progress in your playing habits, this guitar could not get any better. Buying the Bristol BD-16 gets you more than what you pay for whether you are a strummer or finger-picking player. Overall, the Bristol BD-16 acoustic guitar is the type that has no thrills, no gimmicks but is a great entry-level option.